Kudla Man’s Tulu short film ‘Paroksh’ gets over 2 lakh hits in 7 days! Mangalore, April 18, 2017: A Tulu short film inspired by a freak incident of 2015 has become the rage on social media. The 12 minute flick written and directed by Mumbai based filmmaker Ganesh Shetty has already clocked 2,55,000 views on You Tube in the week since it was first uploaded on 11th April. It has also proved to be a passport to success for its creator to make it big in Bollywood. 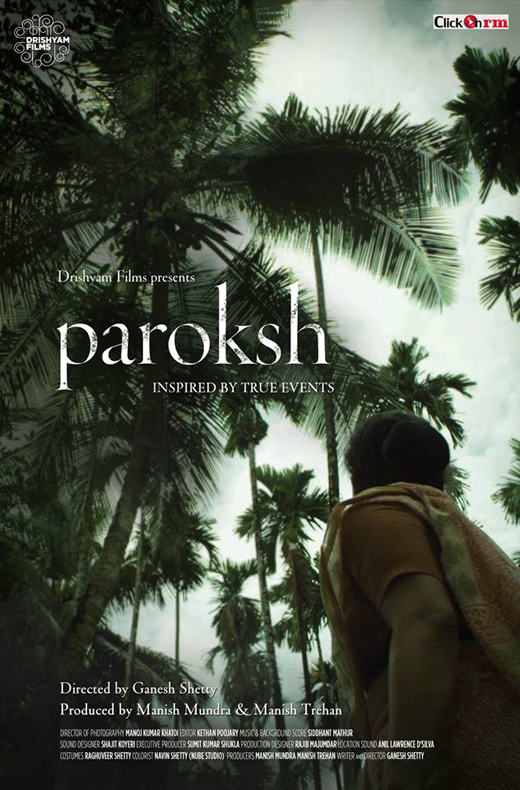 Titled ‘Paroksh’, the film is a fictionalized depiction of a ‘ghost story’ which was reported from Kundapura taluk of Udupi district on Jul 25, 2015. Every night for a few days, the family of one Govinda of Vandse village was haunted by the blood curdling cries of a baby, which seemed to come from a coconut tree in the vicinity. The mystified folks were so sacred by the chilling phenomenon they even spent a fortune to hire a black magic ‘expert’ to ward off evil spirits which might be residing in the coconut tree. Few days later a local coconut tree climber visited the house to reclaim his mobile phone handset, which he had forgetfully left on the tree top. The baby’s cries were actually the ringtone of the mobile phone and he too had forgotten where he had left it. So what started with a scream had ended with a laugh. This incident had made big news at that time especially because of the way in which a gullible poor man got ripped off due to superstitious beliefs. This incident had struck a chord with debutante filmmaker Ganesh Shetty. “I have been working in film industry for two decades as a production assistant and I was dreaming of making my own movies. When I read about this incident, somehow everything fell in place. I was also disturbed by how easily we fall prey to superstitious beliefs,” said the young film maker speaking on phone from Mumbai. Ganesh Shetty, who hails from a village called Belvai near Moodbidri, left for Mumbai at the age of 16 with only big dreams in his pocket. This was sometime in the mid-nineties. He was an eighth standard school dropout and like many others, worked as a tea boy. Then while working in the canteen of Adlabs, a famous film processing unit, he got his first peek into the movie industry and he made the transition to Bollywood. Again as an errand boy; there was no change in his status. However being a resourceful person, he soon found himself handling the logistics of the industry and ended up as a production executive in Rampgopal Varma’s film outfit. He has worked on several of RGV films such as Company, Ek Hasina Thi, Bhooth and Nishabd. Born to Run and the yet-to-be-released Newton are the latest projects on which he has worked as executive producer. But Ganesh Shetty’s ultimate dream has been to be a director and a full-fledged filmmaker in his own right. Working hard on the sets, he had been absorbing the nuances of filmmaking from the masters, like a sponge. Over the years he has also been investing heavily on books to learn the craft better. “Even my wife asks, why do you waste money on buying so many books?” he says lightheartedly. So when he heard about the ghost story which had turned out be a joke, it touched a raw nerve in Shetty and he thought that making a film on this theme would be the perfect showcase for his talent. 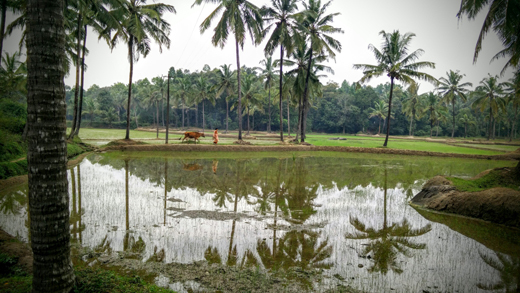 Rural Tulunadu shines through the movie. 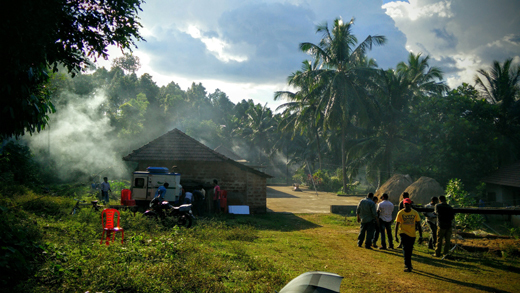 The film incidentally was shot at Shetty’s own house and family farm at Timmottu in Kella Puthige near Belvai. The actors are also professionals. Amit Sial and Pooja Naik (Upasana) make up the lead couple, the former having appeared in many Bollywood films and the latter, a leading Marathi actress. Yatin Karyekar - whom you would remember playing the wheel chair bound comatose patient Anand Banerjee in the film Munnabhai MBBS – plays a non speaking role here too. His powerful presence brings about the much needed gravitas. Pramod Shetty of Kirik Party fame plays a supporting role. 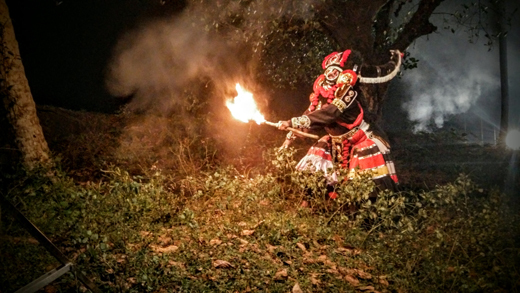 A terrifying intervening scene is brought alive by Nagari Mahabala Rai, a veteran Yakshagana artiste. Dinesh Shenoy, a close friend, shot the stills. 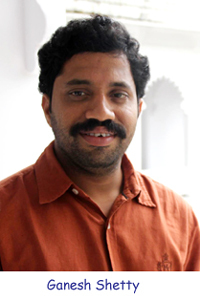 The film was initially funded by Ganesh Shetty’s own savings. But when the whopping budget of Rs. 16.5 lakhs became too much for him to bear, timely help came from Manish Mundra of Drishyam Films, an NRI movie mogul and a knight in shining armour for independent filmmakers. Producer Manish Trehan too backed him. The film was completed over a six month production schedule in 2015 itself. Subsequently it was accepted for the prestigious New York Independent Film Festival last year. Actors like Manoj Bajpai have tweeted appreciation for the film. Its success has also finally landed Ganesh Shetty with a big movie ticket. He has now been engaged for his first directorial venture with big stars and a mega budget. More about the film he is unwilling to reveal as he is bound by confidentiality clause. “Just wait and see,” says he.